Our Miss Marple was determined to confirm her hypothesis that NJ’s Kitchen’s chairs had once had wheels. Before the chair flip we had been discussing – after mutually praising NJ’s Indian dishes – our shared discomfort with the imbalance between the height of the tables and the height of our chairs. Do you remember, from your childhood, that feeling of not being quite tall enough for the grown-up table? Indeed, there were holes in the legs and we all agreed that NJ’s chairs must be the chairs – which had had wheels – from the previous restaurant, Papa’s Pier 17. Later, our server, who apparently had witnessed the peculiar chair turning scene, told me that the chairs became wheel-less because the restaurant’s carpeting had been removed. This made them a safety hazard. The good news, also delivered by our server, was that NJ’s, which could use a décor lift, would be getting new chairs sooner than later. Not to be picky but, I’d like to recommend a splash of colour, just to soften the restaurant’s dour appearance. NJ’s is doing well on the food and service side of the equation. Now it needs to work on creating a slightly better environment in which to savour its butter chicken. NJ’s Kitchen, located in Churchill Square, offers St. John’s a menu featuring international dishes – some vegan or vegetarian and some not – halal meats, and a generous selection of non-alcoholic beverages, including non-alcoholic beers and wines. No alcohol is served at NJ’s and, frankly, I didn’t miss it. 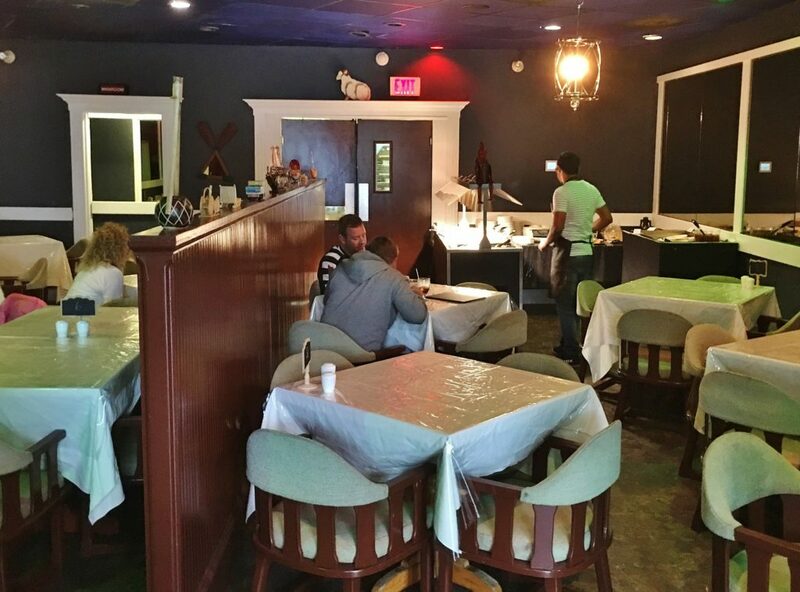 Bangladeshi chef, Jamil Hossain, and wife, Shahina Nipa, also a chef, opened NJ’s Kitchen a few months ago. It’s a buffet restaurant. 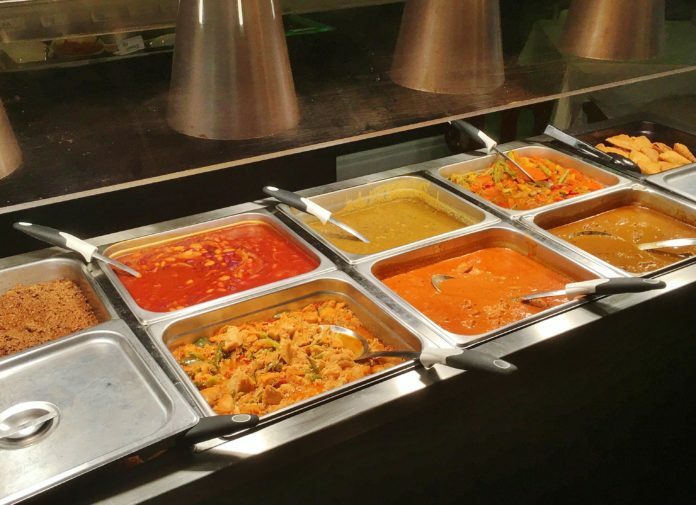 Indian dishes are offered every day, except Sunday when NJ’s is closed. 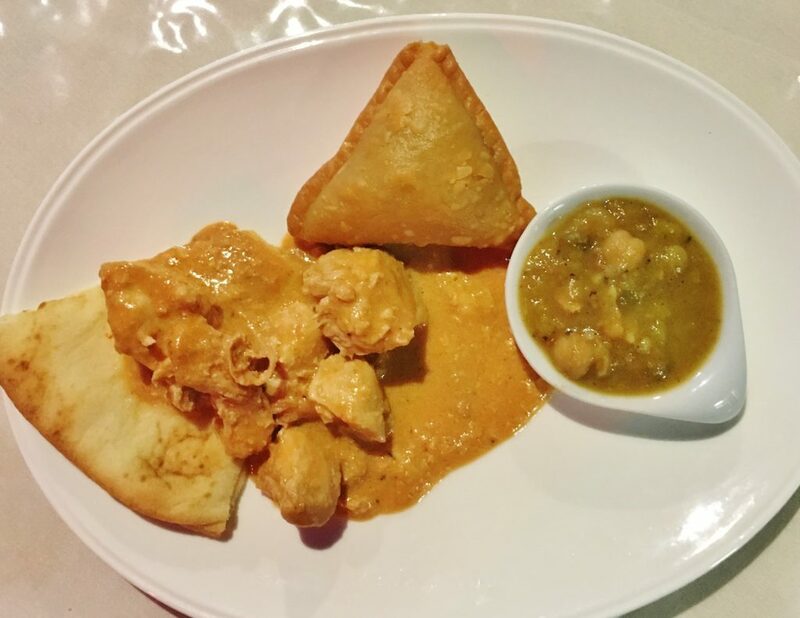 Additionally, each day NJ’s features a second international cuisine alongside the Indian dishes. For example, on Wednesday, when I visited, NJ’s was featuring Mexican food as well as Indian. NJ’s buffet station reminded me of a vibrant tray of paints. Ten contiguous hotel pans held various sunshine coloured dishes, four Mexican and six Indian. I wanted to taste everything, but since the Indian dishes seemed to be starring that day, I decided to begin with them. A garam masala-spiked potato samosa started things off nicely. It’s hard not to like plump, slightly greasy, golden brown food you can eat with your hands; it’s also hard to stop at one. Creamy butter chicken featured bite-size tender chunks of white meat in a satiny sauce. This comforting tomato tinged dish was redolent of aromatics. I mopped up the sauce with NJ’s soft, warm naan and then used more as a utensil for scooping up NJ’s deceivingly rich, textured dahl. 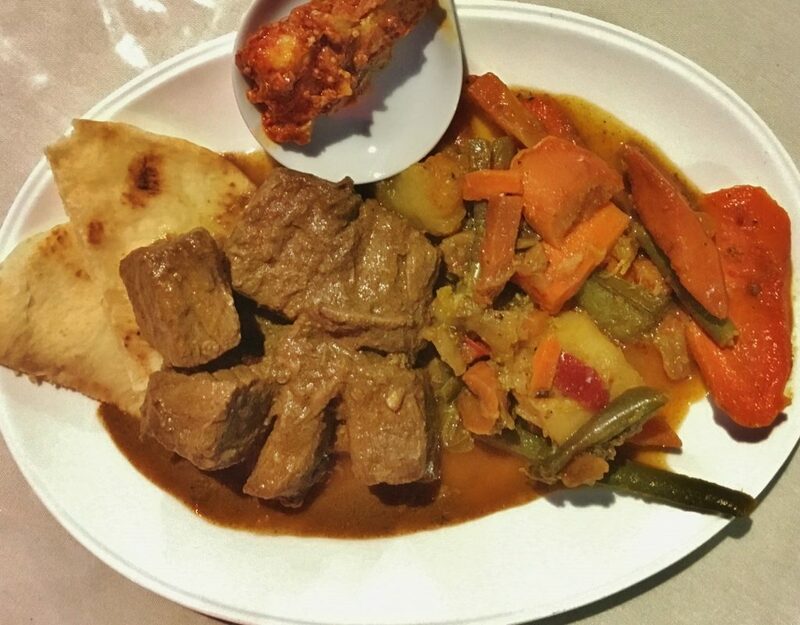 I tried NJ’s braised beef curry alongside the restaurant’s curried vegetables. Lean chunks of beef had been perfectly braised in a combination of natural juices, onion, and spices like cumin and ginger. The beef itself, despite the braising technique, still retained much of its flavour, which also permeated the braising gravy. Deep flavours dominated the vegetable dish as well, but it, like all of NJ’s curries, was not spicy-hot. For that I added a dollop of what appeared to be house-made hot mango pickle. 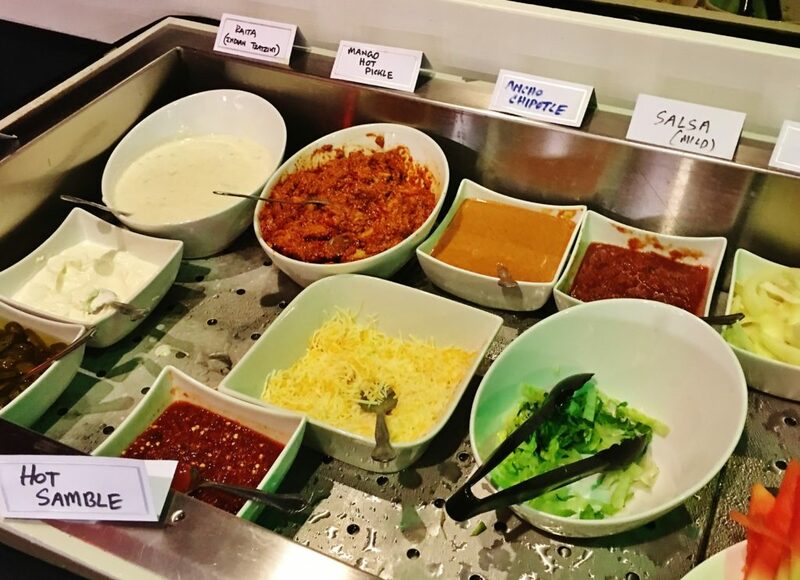 Other Indian food condiments included hot sambal – chili red and fiery – and raita. With no obvious Mexican starter item in sight I began with the lighter, beans mamasita, on some fairly plain Mexican rice. A mixture of earthy tasting red and white beans, with tomato and hints of chili powder, made a good counterpoint for the tame rice. Chicken fajita filling, with plenty of fajita fixin’s, was available. It looked appetizing. After placing a spoonful of the seasoned chicken and peppers filling on a soft flour tortilla, I augmented the affair with grated cheese and salsa. 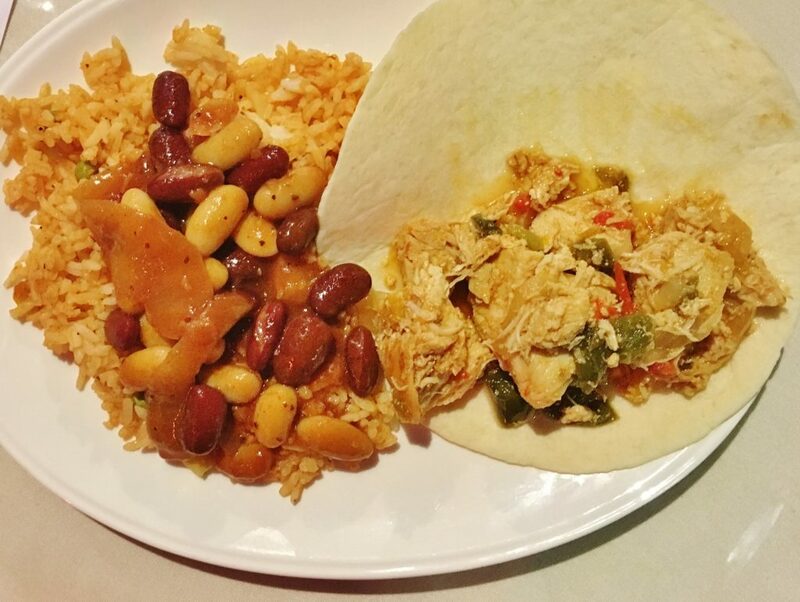 NJ’s Mexican food was as delicious as the buffet’s Indian cuisine. Wanting a sweet ending I returned, figuratively, to India. 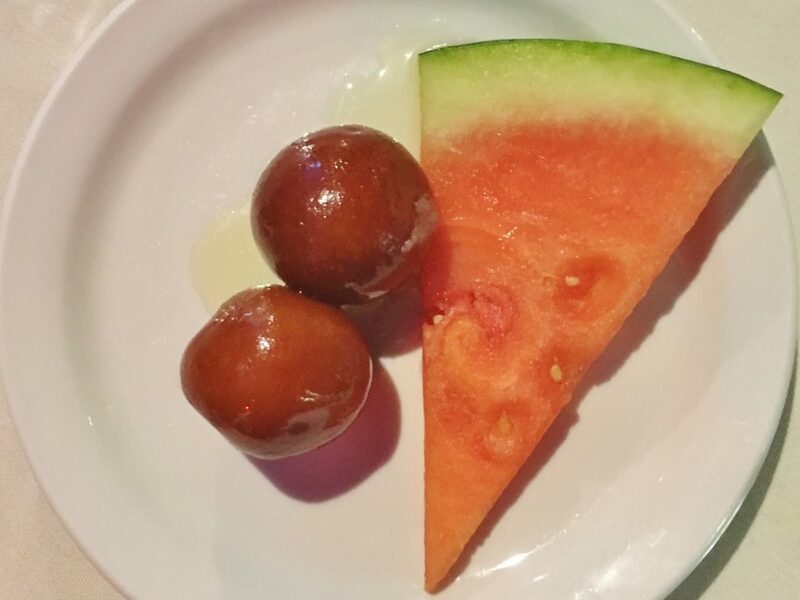 I chose a couple of pieces of the traditional Indian dessert, gulab jaman, scented with cardamom and made from milk powder, flour and other ingredients. It, along with a wedge of watermelon, was exactly what I was looking for, and after tasting so much, certainly all that I needed. NJ’s Kitchen’s cuisine is first-rate. It’s also reasonably priced. An express meal of rice and your choice of beef curry or butter chicken or vegetables is available for $13.99. Students with ID get it for $9.99. Monday through Wednesday the regular buffet costs $17.99, but the price is lowered to $15.99 between 2:30 p.m. and 4:30 p.m. from Monday through Thursday. Thursday through Saturday the buffet is $19.99, with no reduced price on Friday or Saturday. Price Buffet lunch for two with two non-alcoholic beers, tax and 15% tip costs (approximately) $60. Atmosphere NJ’s Kitchen could use some brightening-up. I found it to be somewhat crypt-like. Open Monday to Saturday from 11:30 a.m. to 8 p.m. Beverages NJ’s kitchen serves only “halal and non-alcoholic cocktails and drinks”. If, like me, you enjoy non-alcoholic beer, NJ’s has Budweiser Prohibition, Beck’s and Holstein. There’s also a selection of non-alcoholic Champagne and wines. Before ordering the non-alcoholic Caesar or Margarita you might want to try NJ’s mango lassi. (Yum.) Soft drinks and juices are also available.